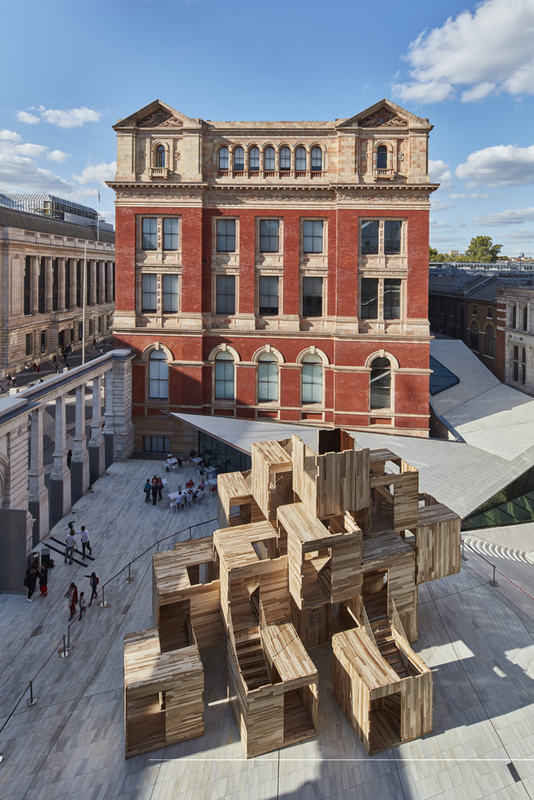 Multiply, a nine-metre high, carbon-neutral wooden pavilion made entirely of American tulipwood, opened to the public in the Sackler Courtyard of the V&A as part of the recent London Design Festival. 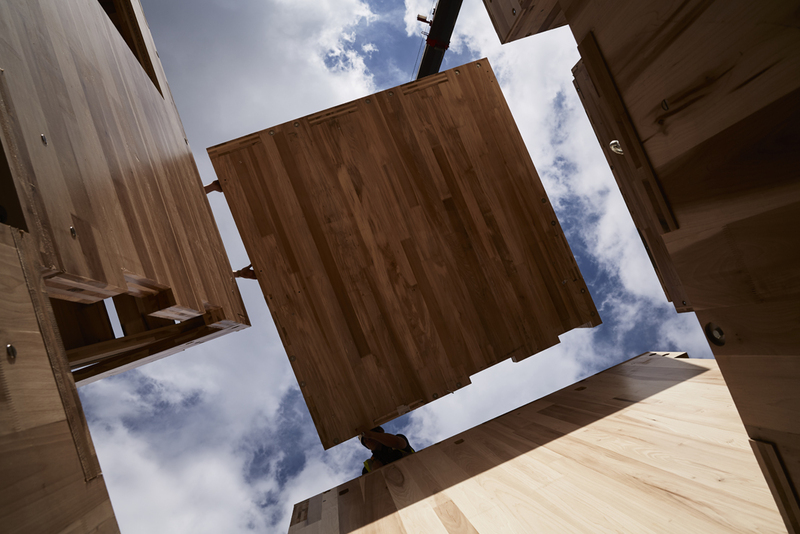 The 43 cubic metres of tulipwood that make up MultiPly store the equivalent of 30 tonnes of carbon dioxide and are replaced with natural growth in the American forest in five minutes. The installation was a collaboration between Waugh Thistleton Architects, the American Hardwood Export Council (AHEC) and ARUP, and illustrates how modular cross-laminated construction in hardwood is a viable solution to current housing crises. 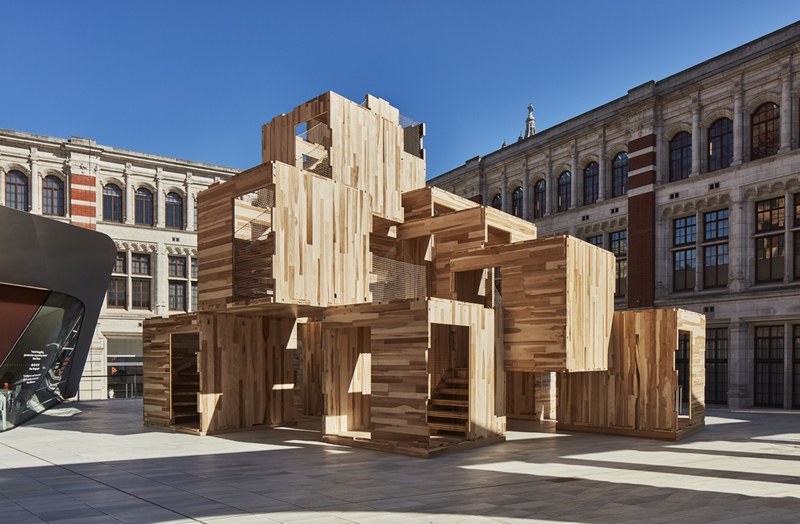 The structure was made with the first UK-manufactured cross- laminated timber (CLT) panels. 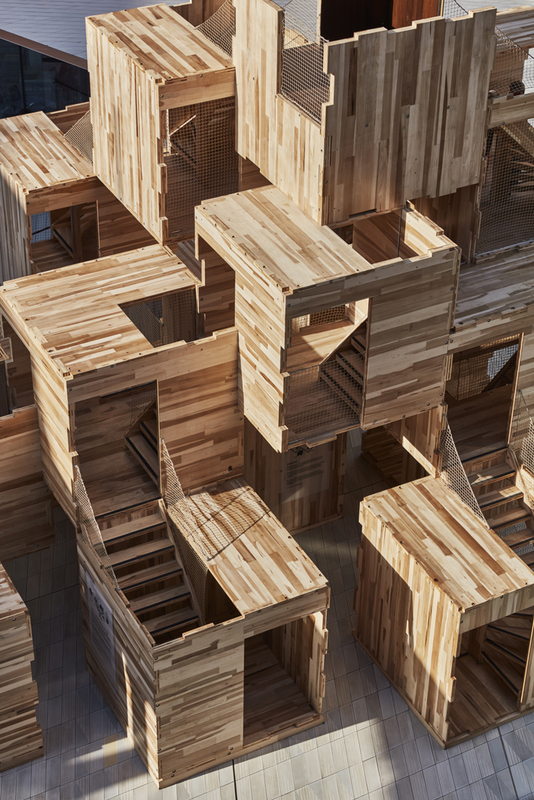 MultiPly, one of London Design Festival’s Landmark projects, comprised a maze-like series of interconnected spaces that overlap and intertwine. It was conceived and constructed to encourage visitors to rethink the way we design and build our homes and cities. The three-dimensional structure was built out of a flexible system, made of 17 modules of American tulipwood CLT, with digitally fabricated joints. Like a piece of flat-packed furniture, the pavilion arrived as a kit of parts and was assembled in under a week. At the crown of the structure was a module with a thermo-treated tulipwood interior layer – the first time thermally modified timber (TMT) has been incorporated as a protective later in CLT. Because it was built out of modules, the pavilion was taken apart and reassembled in a new home after the London Design Festival. MultiPly confronts two of the current age’s biggest challenges – the pressing need for housing and the urgency to fight climate change. It presents the fusion of modular systems and sustainable construction materials as a solution. Tulipwood is sourced from the eastern US, where the hardwood forest area is expanding at a rate of one football pitch every minute, and already exceeds 110 million hectares, equivalent to the combined area of France and Spain. 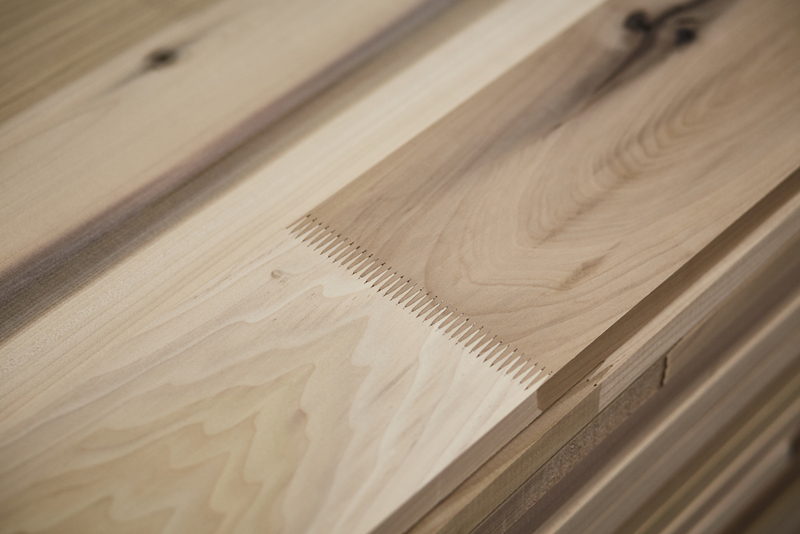 This makes the material both sustainable and environmentally friendly, especially as it is one of the most abundant American hardwoods – accounting for 7.7 percent of the total standing volume in US hardwood forests. Every year, even after harvest, the volume of tulipwood in the US forest grows by 19 million cubic metres, the equivalent of over 19 Olympic swimming pools per day.